How do DIY home security systems work? When it comes to choosing the right home security system, protecting your family is a top priority, but convenience and ease of use are important factors to consider too. With DIY home security, you can get the benefits of a state-of-the-art system without the usual expensive and lengthy home security installation process. After the first setup, use the Ooma Home Security app to update your settings as your home security needs change and view live or saved video directly from your smartphone. Perfect for smart homes, DIY home security systems like Ooma Smart Security let you monitor your home 24/7 from anywhere without the wires and expensive installation. Here are just a few of the unique benefits and features you can expect from Ooma's DIY home security system. Remote 911: Call emergency responders from anywhere as if you were home. Instant alerts: Get notifications for home security events via phone call, text or email. Enjoy flexibility: Switch home modes automatically using your GPS location by the time of day and day of week. 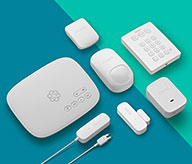 Home security anytime, anywhere: Configure your settings for Home, Away, Night and Vacation modes. Easy setup: Great for families: Allow app and notification access for up to 10 users on your Ooma account. Door & window sensor: Get alerts whenever a door or window is opened unexpectedly or left ajar. Motion sensor: Receive alerts when unexpected motion is detected in your home. Garage door sensor: Get updates whenever unexpected activity happens in your garage. Water sensor: Detect leaky faucets, flooded basements, faulty water heaters, and more. 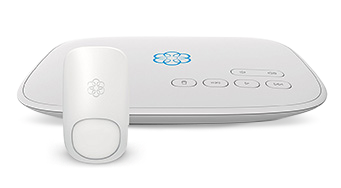 Ooma Telo: Get unlimited nationwide calling, voicemail, caller-ID, call waiting, 911 calling and text alerts. Ooma Smart Cam: Enjoy peace of mind with instant video capture, geofencing, a 24/7 livestream, and more. 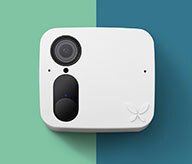 DIY home security systems like Ooma Smart Security are self-installed using a mobile app and wireless sensors and cameras. This makes it easier and more affordable to set up a home security system. Typically, a DIY system can be up and running in a matter of minutes, which is a breeze compared to traditional home security systems that can take weeks or even months to install.